Our Cruising Information section is expanding so we subdivided it, mainly by ocean. This page heads the Indian Ocean Cruising Information section, but as long as we're still in the Indian Ocean it will continue to grow. If you're interested in accounts of our passages (as well as info on our time ashore at different landfalls) you'll find more details in our Indian Ocean Newsletters section. Welcome to the Indian Ocean! When we started this voyage in 2001, it was supposed to end (after about 2 years) in Australia, so Christopher and Amanda could finish high-school in a "normal" school. Once we decided to carry on sailing, and possibly complete a circumnavigation, we were facing a whole new part of the world. Anyone sailing west from Australia and SE Asia towards the Atlantic Ocean has a big choice: which way do you sail around Africa? Over the top, via the Red Sea and the Mediterranean? Or around the bottom past South Africa? The southern route made sense for our family for several reasons. Jon's family hails from greater southern Africa and it's always appealing to travel where we have friends and/or family. Although the route around South Africa takes us well out of the tropics, it does allow us to stay many more months in the warm seas that we love so much, exploring rarely visited places such as the Maldives, Chagos Archipelago, Seychelles and Madagascar. And while this route would take us south and out of the tropics, the northern route, into the Mediterranean also leaves the tropics. Cape Town, at 34°S, is actually much warmer than the Mediterranean - southern Spain is at 37°N and southern France is at 43°N. The southern route is less expensive in that many months can be spent in places where your can live off the sea or trade clothing for fish and fruits like we had done in the small islands of the South Pacific. The Mediterranean, with its costly (and often mandatory) marinas and upscale lifestyle is expensive. Finally, while neither route is completely safe, the northern route traverses some known pirate trouble-spots. 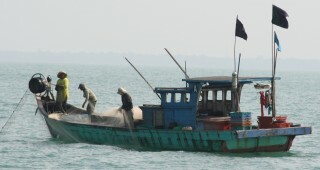 In 2007 when we headed west, there were no Somali pirates south of the Gulf of Aden. Sadly, this was not the case in 2009 when they began operating in the territorial waters of the Seychelles and to the east of Seychelles. By staying south, one can still avoid the hot spots. The southern route around Africa is somewhat longer, but that just means that you have more time to explore each landfall. By going into the southern hemisphere we got an extra summer, and the winds were all behind us (not true of the Red Sea or the Med). 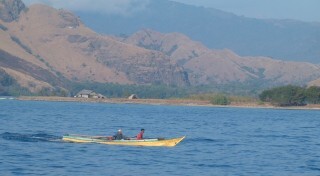 The Indian Ocean has such a variety of cultures and landscapes, it is really fascinating. 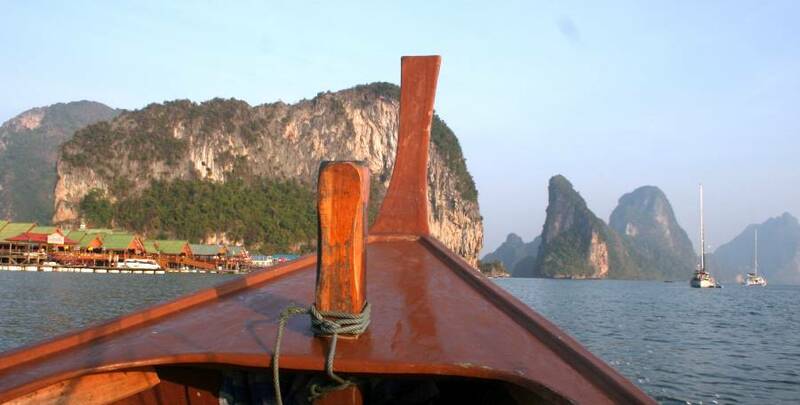 We traveled from the dry volcanic islands of eastern Indonesia, to the green jungles of Kalimantan, up the mangrove and forest-lined Malacca Straits and Malaysia, to the rugged limestone cliff-lined bays of Thailand. From there we sailed west across the Andaman Sea to lush, tropical Sri Lanka, then south to the low, dry atolls of the Maldives and Chagos, and on westwards towards the unexpectedly granitic islands of Seychelles! From there we headed south to Madagascar, Mozambique and finally South Africa. Marked areas of the map go to that country's Home Page. The Indian Ocean is unlike the Pacific in that it's bi-directional. In the tropical South Pacific it's difficult to go east, as the trades always blow from the southeast. If you just have to go east, most sailors go south of the tropics and play with the edge of the Roaring Forties (which blow from the southwest). But this invites cold winds and nasty conditions - they call them the Roaring Forties for very good reasons. The Atlantic has a similar situation - to go east, the easiest way is to go far enough north or south to get out of the east-blowing tropical Trade Winds, and this is how sailors have been returning to Europe from the "New World" for hundreds of years. But the Indian Ocean is different. In the North Indian Ocean the winds blow from the northeast from about November to March and then they switch around to blow from the southwest. These are called the Northeast and Southwest Monsoons, and have nothing to do with cyclones or storms as some people think. The word "monsoon" comes from the Arabic mawsim meaning "fixed season". In the South Indian Ocean the southeast Trades predominate between 5‑25° South most of the year, particularly between April and November. But from December to March there is a period when the winds come from the northwest - the NW Monsoon. This is caused by the strong Northeast Monsoon in the North Indian Ocean bending the winds in the South Indian Ocean. The NW Monsoon blows sporadically in the South Indian from the equator to about 12‑15° South for those few months. December to May is cyclone season in the South Indian Ocean, but cyclones are almost never found within 5° of the equator (in any ocean), so they're easy to avoid in the Indian Ocean. All this switching of wind direction means that if you choose your seasons you can sail back and forth across the Indian Ocean with the wind at your back and never leave the tropics. 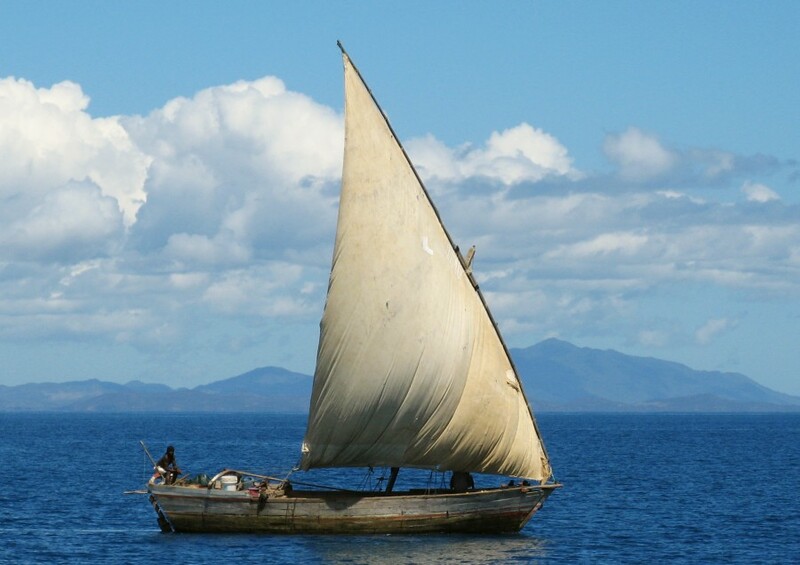 In fact, we've met several boats that do just that - they've been cruising just the Indian Ocean, some for over 10 years, visiting SE Asia (Indonesia, Singapore, Malaysia, Thailand), India, Sri Lanka, the Maldives, Chagos, the Seychelles, Mauritius, Madagascar, Mayotte, and the east coast of Africa (mostly Mozambique, Tanzania and Kenya). If 10 years sounds long, remember that we cruised just the Caribbean, a much smaller body of water, from 1981 to 1988. Time often doesn't mean very much to a cruiser. It's one of the joys of cruising. Here's how the Indian Ocean seasons work for cruisers: To leave SE Asia you want to sail with the Northeast Monsoon sometime between December and March heading for Sir Lanka, India and/or the Maldives. Those going to the Red Sea must continue west to arrive in the Red Sea before the Northeast Monsoon ends about April. Those heading to the southern hemisphere (i.e. Chagos) do best to sail before the end of April. The closer to the turn of the season, the flukier the winds. To go west from Chagos, you want to wait until the southern Indian Ocean cyclone season (December to May) is over, and the Southeast Trades have established themselves. Chagos is close enough to the Equator to be free of cyclones, so it is a year-round destination. Strong SE tradewinds take you west to the Seychelles, Madagascar, the Mascarenes, Comoros, and East Africa. By the beginning of the southern Indian Ocean cyclone season (late November) it's important to be either north (East Africa or the Seychelles) or south (South Africa) of the cyclone region. To head back to SE Asia from Africa the trick is to work your way to near the Equator to catch the light Southwesterlies of the Southwest Monsoon sometime between June and September. 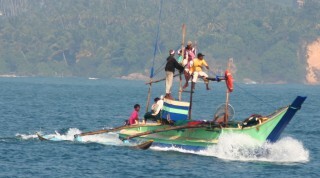 Many boats leave for Asia from the Seychelles in August or September. Ocelot in the Indian Ocean: We entered the Indian Ocean somewhere in Indonesia, although there is no specific point at which the Pacific ends and the Indian begins. We crossed the Equator twice while sailing west in the Indian Ocean, once going north as we left Indonesia heading for SE Asia, and then again going south from Sri Lanka to the southern Maldives. In July 2009 we left Richards Bay, South Africa, for SE Asia. We stopped in Mayotte and Madagascar. Once we had determined that the area was relatively free of pirate activity we carried on north and east to the Seychelles. In late September we sailed east (on the already dying SW Monsoon), with a stop in Maldives and on to Malaysia. In September 2010 we sailed past Singapore and east to Malaysian Borneo and Brunei, spent 2 months there, then sailed back to the Peninsula, en route to Thailand once again. 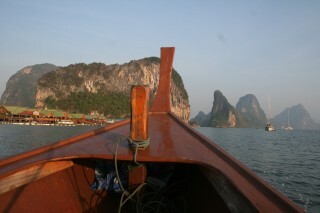 In 2011 we sailed from Thailand to the Andaman Island and on to mainland India, then back to Thailand. 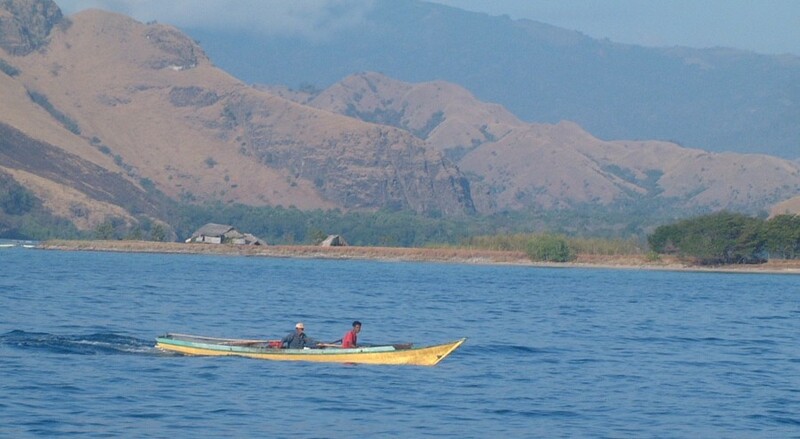 We're very proud of our Cruising Indonesia page, as it contains positions, anchoring depths, and detailed descriptions of all 38 anchorages that we visited during the 3 months that we cruised through Indonesia (Aug-Oct 2006). We've even included photos of most of the anchorages or their approaches. MaxSea users can download an Indonesian Layer file to see even more information, including safe sailing tracks, buoys, moorings, and corrections to the charts. See our Tracks section for more detailed download instructions as well as other Track and Layer files (starting from Tonga). 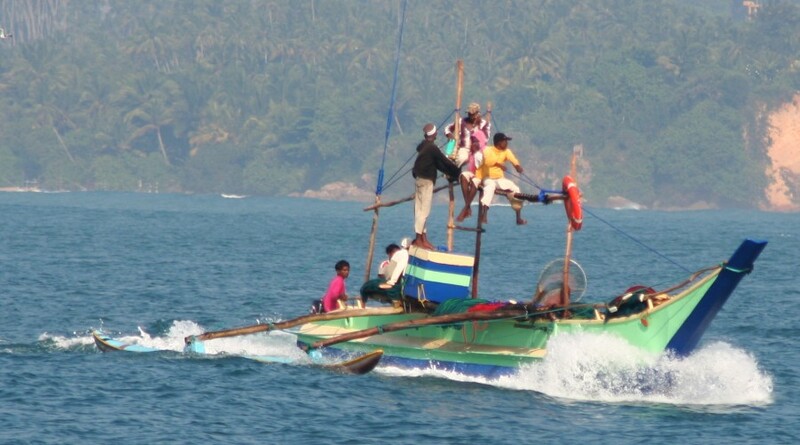 Our Galle, Sri Lanka page details entering procedures as well as where and how to get supplies in Galle, currently the only port open to yachts in Sri Lanka. The MaxSea Indian Ocean layer file shows not only safe sailing tracks, but how badly inaccurate the Galle charts are. Our Maldives page talks about the high fees that Male imposes and how to get around them, as well as the frustrating officialdom and how best to deal with that. Since we only visited Addu Atoll in the extreme south, it focuses on what to do and how best to do it in Addu. Chagos is a cruiser's heaven, but under careful watch of the British who administer this archipelago in the middle of the Indian Ocean. On the Chagos page you can find links to BIOT to learn about fees and the bureaucracy, plus some ideas of how to maximize your fun in Chagos while minimizing your impact on the environment. Our two visits to the Seychelles during the SE monsoon totaled almost 4 months. While it wasn't nearly enough time, it was a good taste of what the islands offer cruisers in terms of anchorages, water activities and hiking. We've now cruised northwestern Madagascar twice, once heading south towards South Africa, and again 20 months later on our way back north towards the Seychelles and Asia. We've included many anchorages, with lat/lon and comments on what you'll find ashore. We spent 5 days traveling inland to some of the national parks to see the amazing lemur, chameleons and birds, so for those of you with a land-side adventurous spirit, maybe we can help shape your plans.